When I saw this in the grocery store a few months ago, I literally stopped in my tracks and did a hard reverse with my grocery cart. I had been randomly craving cinnamon raisin swirl bread, a luxury favorite of my mother’s, but I chose to ignore it. 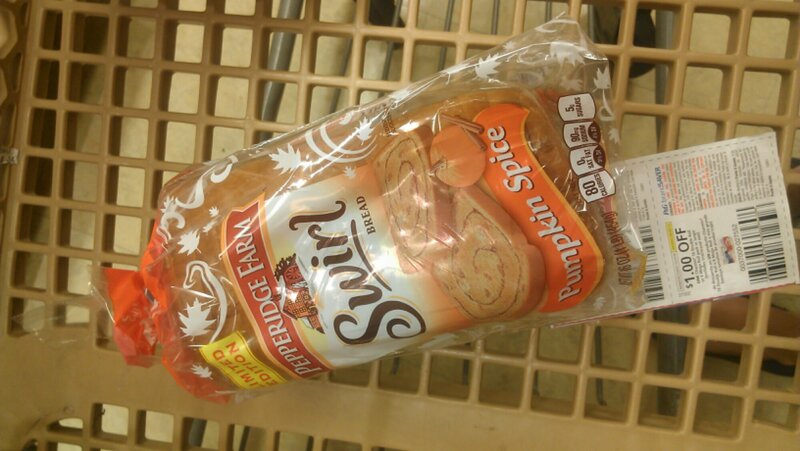 Then I saw the glory that is pumpkin spice swirl bread and could not think of a better way to indulge. I tried it the next morning for breakfast, with my coffee sweetened with pumpkin spice creamer, of course, and could not have been more pleased. This bread is everything you would want pumpkin spice swirl bread to be. Sweet and a perfect balance of cinnamon and nutmeg but not overwhelming in any way. I chose to top it with butter until I got to the last four pieces because I decided to make French toast with it for my sister and I. In case you were wondering, it was wonderful. For the first August in a while, I did not see premature signs of fall. Most people would be relieved to not have a season aggressively pushed on them in the midst of another, but I’ve been a little sad. I enjoy seeing orange all through the isles of places like Target and trying new products so that I know by October and November what will be a staple for me that season and what I will use to entertain. 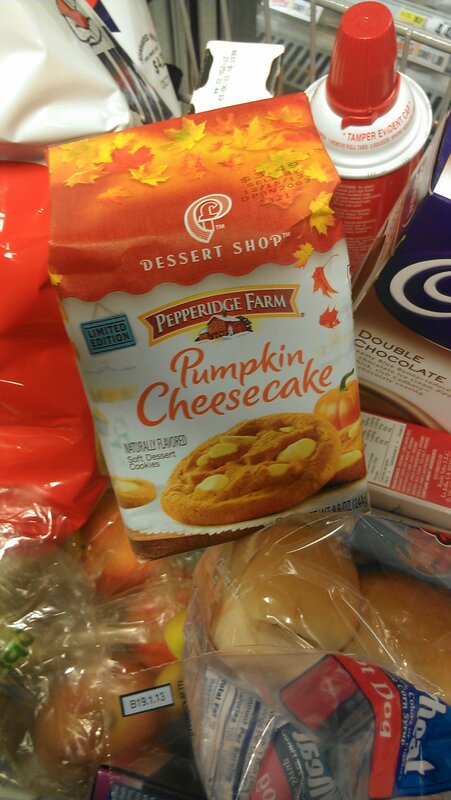 Needless to say, I was thrilled when I saw these pumpkin cheesecake cookies sneak their way into my local grocery store. These types of cookies are not necessarily my thing, but I was pretty starved for pumpkin and did an impromptu buy. When I opened the package, I was overwhelmed with autumnal glee. The cookies smelled like a freshly baked pumpkin pie, and I had to enjoy a few wiffs before I actually indulged into a cookie. The positives of the cookies, other than that heavenly scent, are that they are delectably soft and the cheesecake chunks are rich and sweet. The negative is the pumpkin flavoring is weak, if there at all. The flavoring is more pumpkin spice, which as you probably know is not offensive to me, but a little disappointing. I will probably not be purchasing these again, but if you are not into strong pumpkin flavoring but love that wonderful nutmeg, cinnamon, and clove combo and a sweet cookie, you will definitely love these.